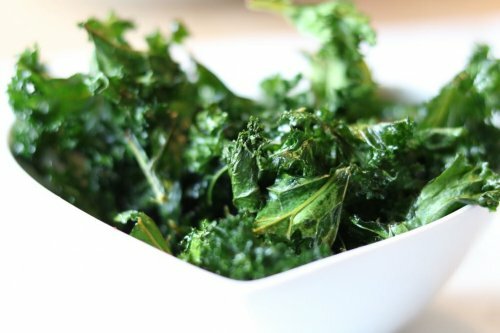 Crispy Kale is the perfect snack and also makes a great crispy addition to a main dish or picnic platter. Food for me is so much about texture as well and I love a crunch and food I can eat with my fingers. Kale is packed with antioxidants and are a great anti inflammatory food – good for those that suffer with arthritis or autoimmune disease. Preheat the oven to 180°C/fan 160°C/gas mark 5. Put the kale in a large bowl and mix in the olive oil and salt. Spread out on a large baking tray. Bake for 7 minutes, then remove from the oven and toss and cook for a further 7 minutes, until crispy. Mix well again before serving.